Many of Gargi's readers have asked questions about her various creations. She has uploaded a video on her YouTube channel called Shalpial Network. Canberra, Australia - October 7, 2018 /MarketersMedia/ — Gargi, the cerebral Bengali author, has recently uploaded a video answering questions from her readers. She also did some whale watching recently. 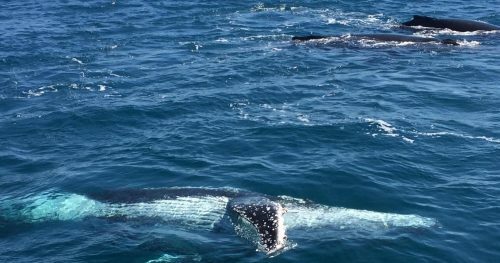 She has taken this opportunity to share the whale watching videos with her readers along with answers for their questions. Gargi has used her YouTube channel, Shalpial Network, for this purpose. She has many other videos in Shalpial Network like Maya Horin that talks about her revolution in the rusty Bengali literary community of West Bengal, India and magical stem cells, Fagun Kuasha portraying about LGBTI community as super humans and Neel Bharani about hope for cancer patients. She has also recently uploaded a video on Emu, a native bird of Australia, videographed herself. Enjoy! Just to differentiate her from her name sake authors, it should be known, Gargi, the cerebral author, is the same as founding editor of erstwhile Sonajhuri webzine. This was one of the very few Bengali web magazines of early 2000s. It was known for its uniqueness, innovative approach, aesthetics and uninterrupted monthly supply for more than 100 continuous months, single handedly.